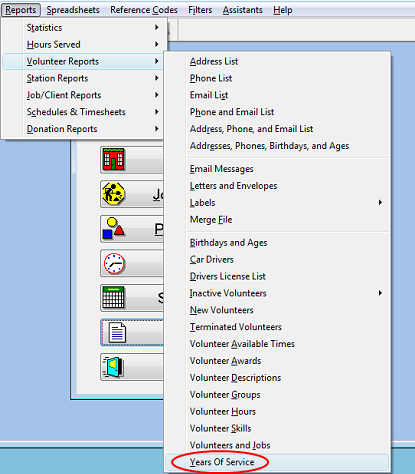 The quickest way to see volunteers' years of service is to create the Years of Service Report and sort it by Lifetime Hours. 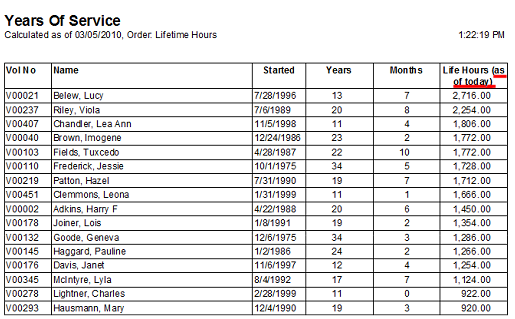 The Lifetime Hours in this report are always calculated as of today (prior to v5.9). 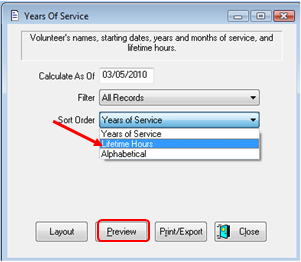 No matter how you set the date in the Years of Service report, or if you change the computer's date, it brings up the number of hours in the Lifetime Hours field in the volunteer's record.